It is time to get in the water! The warm weather is here, and that means soaking up the rays and relaxing on a raft..well at least for us! 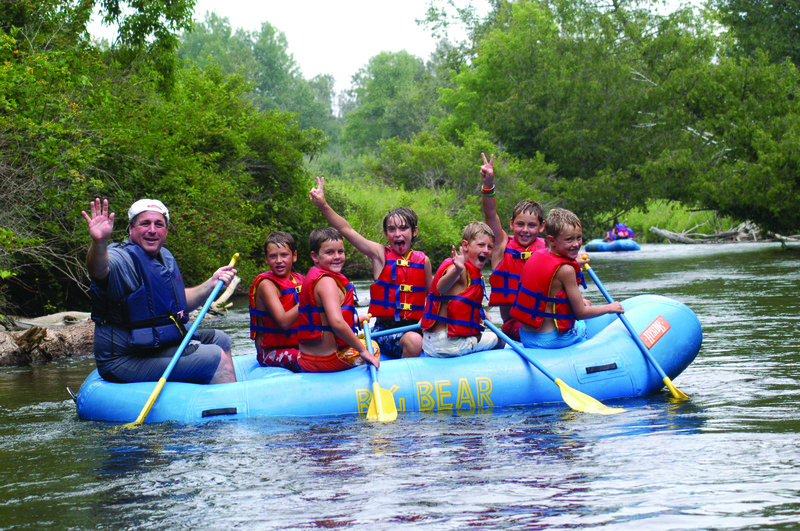 This summer join us for a summer full of adventures in Michigan. Enjoy a rafting trip or stay on land and play some miniature golf and climb on up to the ropes course. You will have the time of your life experiencing new things and thrill seeking. So before you jump in make sure you have everything you need for your trip! You might be thinking that with so much adventure comes a lot of supplies. Well, it does, but you do not have to worry about that! We supply everything from the raft to the lifejackets. All you truly have to do is show up! To enjoy your adventure, we recommend bringing certain clothes and supplies to make your trip enjoyable. We recommend wearing a bathing suit or light clothing that can easily dry out. You are out on the river, so there is a good chance that you will get wet. Also, try to avoid flip flops. Wear something that straps onto your feet because we have lost a couple of flip flops before. We will also be on the river for a good amount of time, and that also means the sun. So bring sun protection such as a hat, sunglasses with a strap, and sunscreen. If you want to catch all the fun during your trip bring a waterproof camera! We do not recommend bringing anything that you do not want to risk losing or getting wet; this includes keys, jewelry, electronics, watches, and purses/wallets. If you want a snack during your adventure, bring it with but no heavy coolers. Big Bear Adventures offers a Subway sandwich shop and the general store stocked with all types of snacks and drinks available for you to take with you while on the river. Just remember no trash left behind! After an exciting day, you are going to want to get comfy and relax. Northwoods Lodge is located in the beautiful setting of Indian River, Michigan. With 15 rooms, the award-winning Lodge offers you the quaintness of a Bed & Breakfast but with the privacy of a motel and all the modern amenities. If you are looking for something convenient and close, Big Bear Dorms is the perfect spot for your small group and family lodging! Conveniently located in Indian River and within easy walking distance to Big Bear General Store and Family Fun Center. This summer experience the adventures in Michigan. From fun rafting trips to family fun playing golf or sightseeing in Indian River Michigan, your journey will be filled with entertainment. At Big Bear Adventures we make sure that we have everything you need and even if you forgot something our general store can supply. This summer plan your adventure, and all you need to bring is your adventurous attitude!